Ajiras welcomes you to our platform. Please read more about how ajiras works here. Registration is made easy, allowing you to register using email address as well as your social media account. 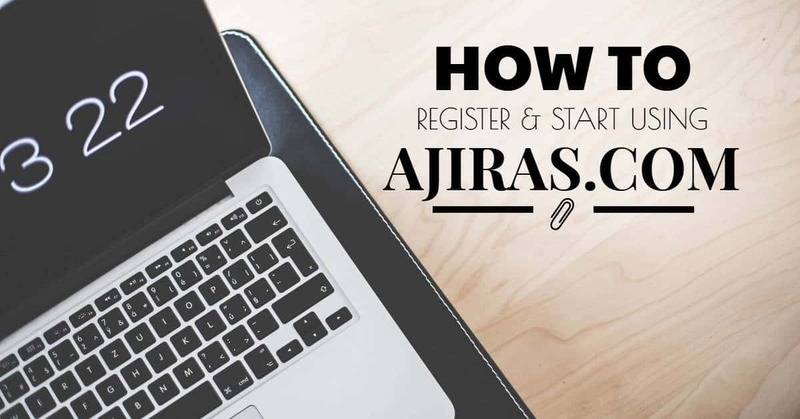 Registration to Ajiras site is free and will always remain free. You will not be charged for registering to Ajiras. Email and your mobile number is required. Upon registering you will receive a confirmation email and a verification code sms. You are required to confirm your email by clicking on the link provided in the confirmation email and you are also required to enter the verification code sent to you on your profile page. You will not be able to use Ajiras services without completing confirmation of email and mobile number. We take user security very seriously. Email and mobile number confirmation ensures that emails and phone number used in your registration exist and that you own and have access to them. This will avoid spammers from using and posting in the site as well as allow our team to contact you for further verification that will allow you to use more of our features. Confirmation of email and phone number is a one time process and as long as you have not changed your phone number or email address in ajiras, you will not be required to re-verify them. Please contact us if you are facing any issue regarding your confirmation of email and phone number verification. As we mention earlier, you can register with email account or using your social media account of Facebook, Google, Twitter and Instagram. Registration is easier, click the social media account you want to use and follow the on screen instructions. You will need to choose whether you are a seller or buyers. Sellers are allowed to post and sell services in Ajiras. You can learn more about posting a job here. Sellers are also allowed to buy other seller’s services. NOTE: You cannot buy your own service. Buyers are allowed to buy services but are not allowed to sell. Both Buyers and sellers can opt to change their account type by sending the request using our inbuilt support system. Upon request, Ajiras team will review and make the change as requested. There are few fields that needs you to enter information when doing registration. Some are mandatory while others are optional. User Name: this will be the name displayed on your account and will also be used on the login screen. User Name cannot be changed once entered, so choose wisely. the use of harsh or offensive usernames are not allowed and you are account will be blocked. Email: This field is mandatory. Please make sure you use real email address and that you have access to that email. You will be required to confirm the email you enter before starting using the site. User Type: This is also a mandatory field. Choose whether you will be a seller or buyer in ajiras. Note that all sellers can also buy services. Password & Confirm Password: A mandatory field. Make sure you use a strong and unique password. Keep your password safe and don’t share with anyone. Phone Number: This field is also mandatory. Just like email, use your real phone number and make sure you have access to it. You will be required to verify your phone number once your registration is completed. Company: This is an optional field. You don’t need to fill it if you don’t have a company or business name. You may choose to subscribe for latest news and offers which will be sent to subscribers. We highly advice you to subscribe for this. This will allow you to get offers that ajiras provide to it’s user. As mentioned earlier. Ajiras allows you to register using social media accounts. Please click on the social media you want to register with and follow the preceding instructions. 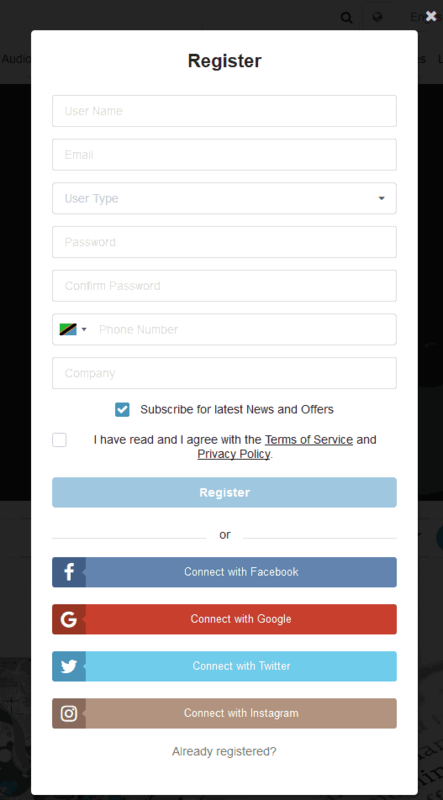 You may be required to log in to your social media account to agree on the use account in Ajiras. NOTE: Ajiras will not publish any post in your social media account when you use it to register or login with that account. You will also not be able to select whether you are a Seller or Buyer if you use social media account to register. To change your account type please send your request to support here. Further information like your address and full name can be added and edited in your profile page. We encourage you to use and share your experience in our forum page. There you will meet other members seller and buyers who also share there experience. You will also be able to read our frequently asked questions which will help answer any question you might have. After registration please fill other information in your profile page. If you are selling on behalf of your company please fill your company name, TIN and other details. You are also required to fill withdrawal information which will be used to withdrawal money to your mobile money account. To learn more about withdrawal process click here. We also advise you to use our affiliation program to earn money from Ajiras by either sharing Ajiras website on social media and blogs or by sharing seller services. Find out more here. NOTE: Registration requires you to read and accept our Terms of Service.